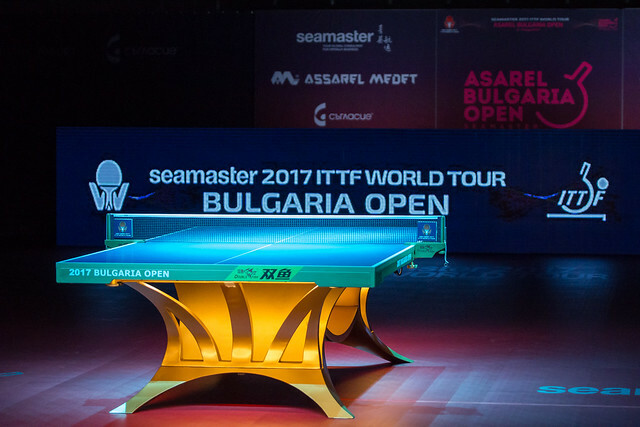 Czech competitors Dana Cechova, Iveta Vacenovska and Hana Matelova put in confident displays on the opening day of the qualification tournament on Tuesday 15th August preceding the Seamaster 2017 ITTF World Tour Asarel Bulgaria Open, edging the trio closer to the Women's Singles main draw in Panagyurishte. Dana Cechova, 33, came through somewhat of a tricky experience in her encounter with the host nation’s Nenka Tushlekova in a match that could have gone either way. Fighting with the backing of the home fans Nenka Tushlekova actually looked the more impressive of the two players in the early stages of the tie and managed to establish a two games lead, but Dana Cechova began to grow into the match and four consecutive game wins pushed the result in the Czech contestant’s favour (6-11, 9-11, 11-8, 11-3, 11-9, 11-5). There was a fine performance seen earlier in the day’s action courtesy of Katsiaryna Baravok but the Belarusian’s qualifying campaign took a hit in the second round of play as Iveta Vacenovska powered to a five games victory (11-6, 5-11, 11-5, 11-6, 11-2) while the third Czech in action Hana Matelova recovered to beat India’s Amrutha Pushpak (3-11, 11-3, 11-5, 11-3, 11-8) to move joint top of Group 6. The Czech Republic’s success was matched by another country as all three Japanese representatives involved in the qualifying group stage for the Women’s Singles event registered victories. Mizuki Morizono is just one win away from claiming first position in Group 7, condemning Kuo Chia-Yun to third place in the group with a strong performance against the Chinese Taipei athlete (11-4, 11-8, 11-7, 11-4). Victories for Asuka Sasao and Miyu Maeda both came against Indian opposition, as Sreeja Akula (11-5, 11-8, 13-15, 11-6, 11-9) and Pooja Sahasrabudhe (11-6, 11-4, 12-10, 11-5) suffered their first defeats of the qualification tournament. While Czech and Japanese competitors enjoyed a successful afternoon in Panagyurishte surely the performance of the session was produced by the host nation’s Anelia Karova, who defied the odds to beat Szandra Pergel of Hungary (11-7, 9-11, 9-11, 11-9, 12-10, 11-8) blowing the contest wide open in Group 4. The Women’s Singles qualification tournament concludes on Wednesday 16th August.